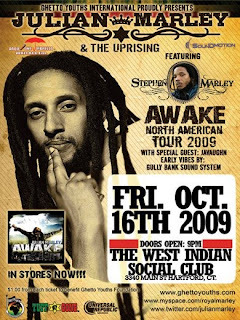 Hartford, CT is looking forward to Julian Marley "Awake" tour. Marley was recently featured in the Hartford Advocate by Jounalist/photographer Robert Cooper here. If you are in the Tri-State area, this is an event not to miss.